A lens with a 70-200mm focal length range, a wide, fixed max f/2.8 aperture and optical stabilization is destined to become a critical part of most people's lens kit. With this lens model now offered by many manufacturers, "Which one is right for you?" is a bigger question than "Can I make use of this lens?" And that is the bigger question this review will attempt to help you answer, but I'll answer the easier/latter question first. You will find many other uses for one of these lenses - including chasing the kids and grandkids around to their various events. The wide-as-it-gets on a 70-200mm zoom lens f/2.8 aperture allows this lens to stop action in low light and to create a strong background blur as shown in the above sample photo. I took thousands of pictures with the Sigma 70-200 OS, but the ones I liked best came from this same late day session at the corral (the sample pictures will reflect this). 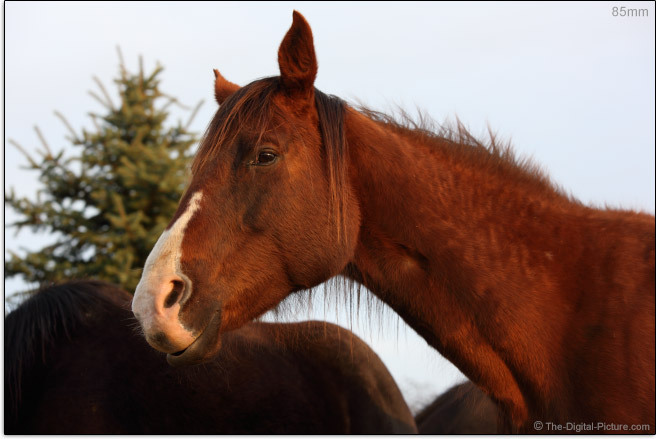 While out by the barn, let's take a look at the 70-200mm focal length range. These images were captured with a full frame DSLR with an f/8 aperture setting. A 70-200mm lens on an APS-C/1.6x FOVCF format body will deliver an angle of view like a full frame 112-320mm lens. A 70-200mm focal length range makes a lot of sense in either format kit. And this lens will look good in that kit. Optical stabilization is a key ingredient for making a lens such as this one so useful. Especially for the indoor events (parties, weddings, concerts ...). While this is the fourth Sigma 70-200mm lens I've owned, it is the first to incorporate OS, which almost automatically makes this my favorite version so far. Sigma's 4-stop OS system is nicely implemented and includes the Mode II panning option. OS causes no significant viewfinder framing shift on startup. The Sigma 70-200's optical stabilization makes an audible click when starting up and again when shutting down. Moving the lens while OS is active will generate some light clunking sounds. I will be comparing the Sigma 70-200mm f/2.8 EX DG OS HSM Lens to the Canon EF 70-200mm f/2.8 L IS II USM Lens and the Tamron 70-200mm f/2.8 Di VC USD Lens throughout this review. In these particular optical stabilization (OS) vs. image stabilization (IS) vs. vibration control (VC) (respective different names for the same feature) implementations, IS makes a similar startup and shutdown click while VC is quieter. When adjusting the framing while stabilization is active, IS provides a less-jittery image than either OS or VC. Under ideal conditions with ideal technique, I am getting a good percentage of sharp 200mm handheld shots at 1/25 sec and I still have a reasonable keeper rate at 1/20 sec. At 70mm, the keeper percentage results trail off gradually from 1/20 through 1/8 where an approximately 50% of the images were still usable. Compared to its stabilized competition, I'm disappointed in the Sigma 70-200mm f/2.8 EX DG OS HSM Lens from an f/2.8 image contrast and sharpness perspective. It does not perform terribly, but at f/2.8, there is a noticeable lack of sharpness across the focal length range and across the image circle. This is noticeable in real world images and quite noticeable in our lab image quality testing. Stop down to f/4 and life is good – the results are much more pleasing. But the f/2.8 aperture is a significant reason for buying a 70-200 f/2.8 lens. If you don't need f/2.8, you would be better off buying a Canon EF 70-200mm f/4 L IS USM Lens. It will give you better image quality in a smaller and lighter package – and it currently costs less. The Tamron 70-200 VC delivers noticeably better f/2.8 image quality and the Canon 70-200 IS II delivers even better image quality. The differences are less noticeable at f/4, but the Tamron remains the image quality leader over the Sigma except at 200mm where the Sigma performs better in the full frame corners. The Canon 70-200 IS II's image quality rules over all other AF zoom lenses available at this time in any focal length range. As this image quality comparison shows, the 70-200 OS's predecessor, the Sigma 70-200mm f/2.8 EX DG HSM II Macro Lens, performs better at f/2.8 and f/4 except at 200mm where the OS version holds a slight advantage. 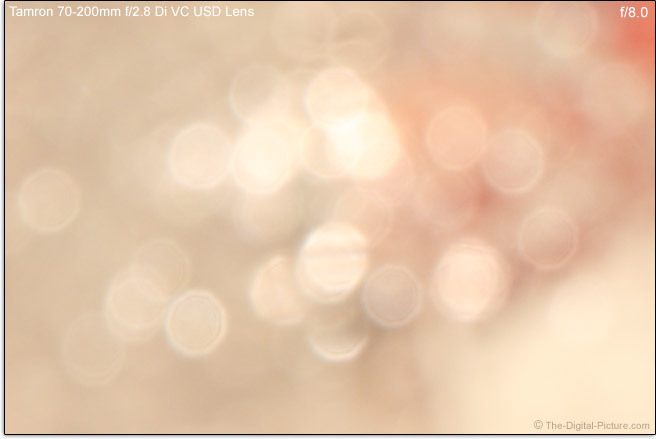 Expect a modest amount of CA (Chromatic Aberration) in full frame corners at 70mm f/2.8. Stop down or zoom in and the CA becomes less noticeable. A small amount of CA is visible at 200mm. The 70-200 OS delivers vignetting amounts of about 2 stops at 70mm and 85mm, 1.5 stops at 100mm, 2 stops at 135mm and 2.5 stops at 200mm. Stopping down to f/4 reduces vignetting by about 1 stop. The Sigma 70-200 OS's vignetting pattern is very similar to the Tamron 70-200 VC with the Sigma having slightly more vignetting at 200mm f/2.8. The Canon 70-200 IS II has less vignetting at comparable f/2.8 focal lengths. The stopped down differences are less noticeable. With their high lens element counts, all of the stabilized 70-200 f/2.8 lenses show flare rather easily with a bright light in the frame. The narrower telephoto angle of views and the large lens hoods minimize the situations where bright lights cause this problem. The differences between the compare-to models are not enough to consider from my perspective. We currently expect barrel distortion from the wide end of a zoom lens and pincushion distortion from the long end. 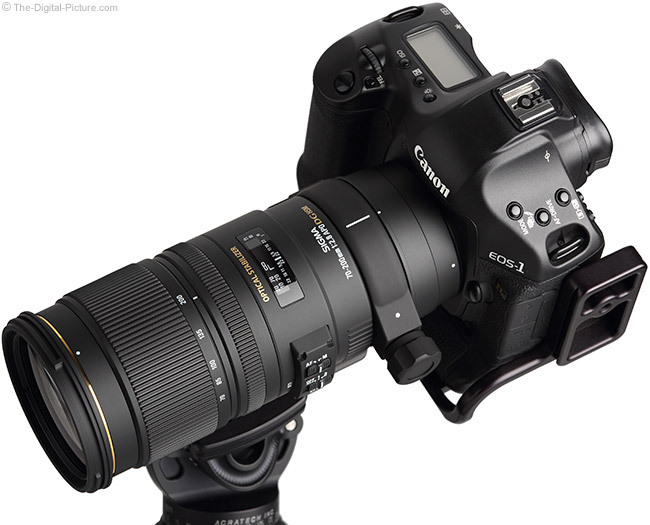 The Sigma 70-200mm f/2.8 EX DG OS HSM Lens meets these expectations. Barrel distortion at 70mm is modest. The crossover/near-0-distortion focal length is around 85mm. Pincushion then increases to moderate from 135mm to 200mm. Again, the Tamron and Canon lenses are not dissimilar in their distortion fingerprint. To compare the bokeh (quality of the background blur) of the three stabilized 70-200 f/2.8 lens, I captured sample pictures from each using a stationary camera and identical focus distances. While all three lenses were set to their max 200mm focal length, the realized focal length, especially at this distance, is not the same for the three. 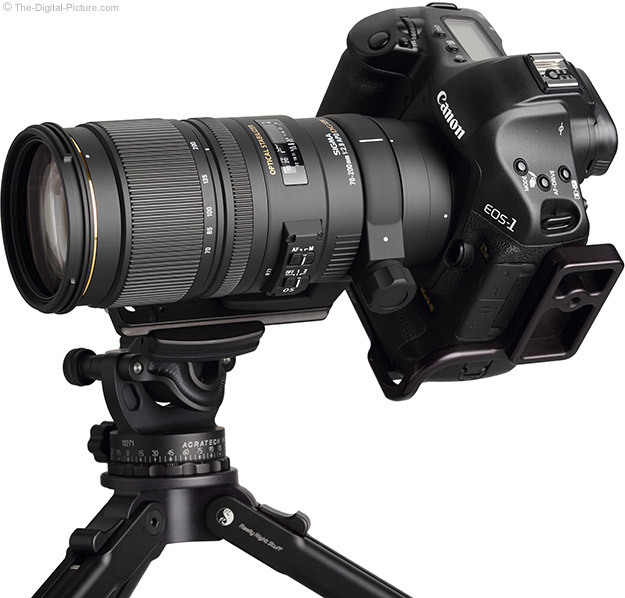 The Sigma is slightly longer than the Tamron and the Canon is significantly longer than both (more about this later). The longer focal length creates a more strongly blurred background. The Canon produces larger blur details even with a 1-stop narrower aperture. Aside from the difference in the magnification of the blurred subjects, I don't see any differentiating qualities in the results of this comparison. All three lenses are looking good. Overall, The image quality from the Sigma 70-200mm f/2.8 EX DG OS HSM Lens is quite good, but the trailing-the-pack, mediocre f/2.8 image sharpness leaves me wanting. As the Sigma 70-200mm f/2.8 EX DG OS HSM Lens name indicates, this lens features Sigma's HSM (Hypersonic Motor) AF system. This implementation is internal and very quiet, but this is not an especially fast-focusing lens. If you are focusing from one distance to a not-too-different distance, focus speed seems reasonably fast. You can hear a quiet "shhhh" followed by a series of clicks while fine tuning adjustments are being made. When going from minimum focus distance to infinity, you will notice the slower AF speed. In side-by-side comparison with full-extent focusing changes, it is not hard to see the difference in focus speed between this lens, the Tamron 70-200 VC and the Canon 70-200 IS II. The Tamron and Canon variants focus noticeably faster in this scenario. For shorter focus distance changes, the Tamron and Sigma compete more closely – and the Canon is noticeably faster. As I said before, this is the fourth Sigma 70-200mm lens model I've owned. And I admit that, based on past experience, my biggest concern for this lens was AF accuracy. The great news is that I'm finding most photos accurately focused – in both One Shot and AI Servo AF modes. The Sigma 70-200 OS' AI Servo focus accuracy has not been amazing – but quite usable. Note that, based on plenty of experience, Roger Cicala at Lensrentals.com only recommends renting this lens for use on cameras with the AFMA feature. This lens has the desired FTM (Full Time Manual) focusing feature. This feature that I greatly prefer is a bit of a liability on this lens due to my left hand resting on the rear-positioned focus ring. A focus limiter switch is not provided. The front element does not rotate. Appreciated by videographers is that subjects remain similarly-sized during focus pulling. This lens performs better than the Canon IS II and the Tamron VC in this regard. The 70-200 OS has a depth of field scale that is usable at 70mm, though only f/22 markings are provided for 200mm. DOF scales are not found on the Canon and Tamron versions of this lens model. The 70-200 OS is not parfocal. 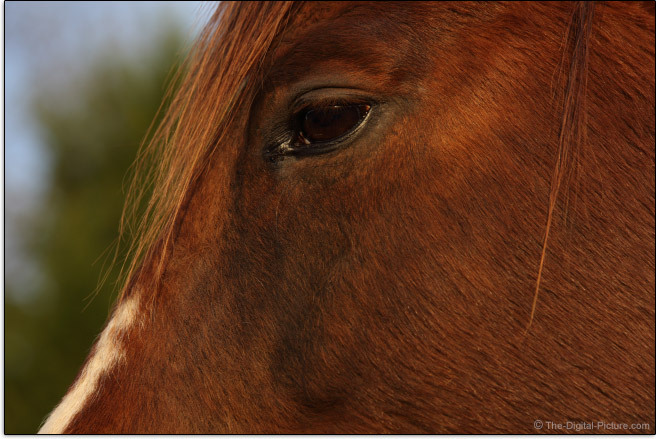 Changing focal length from 200mm to 70mm will shift focus to a longer distance. Zooming from 70mm to 200mm will shift focus to a shorter distance. Most zoom lenses are not parfocal – you need to refocus after changing your selected focal length. A 0.13x maximum magnification (MM) spec is not going to turn any heads. But, in real life manual focus testing, the Sigma OS delivers more magnification than the same-rated Tamron VC does. Still, this lens is not going to reproduce small details large on a sensor. The Sigma lens has a slightly wider field of view than the Canon at 200mm at longer focus distances. And the Tamron trails the Sigma in this matter. What does 0.13x look like? Below is a full frame sample photo taken at about MFD using an f/2.8 aperture. The Canon IS II, even though it does not have a much shorter minimum focus distance (MFD), has a much higher MM spec and does deliver on this. The Sigma and Tamron lenses lose significantly more focal length at short focus distances. You will not see much magnification/angle of view differences between these lenses at longer distances. To see real world focus distance test comparisons, check out the focus distance test results in the measurement and specifications tool link at the top of this review. There you will notice that the actual MFD of these lenses in manual focus mode is even more similar than the specs above indicate. As usual, extension tubes will modestly decrease MFD and increase MM for a telephoto lens. This lens is also compatible with the Sigma 1.4x EX DG APO Teleconverter and the Sigma 2x EX DG APO Teleconverter. The teleconverters will make a more significant difference in magnification at the lens' native MFD. Adding a Sigma 1.4x TC to the 70-200 OS creates a 98-280mm f/4 OS lens. 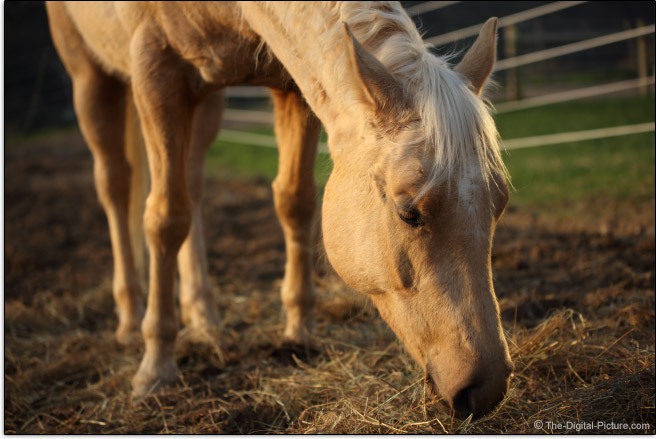 This combination reduces image sharpness noticeably with a wide open aperture, but sharpness becomes decent at f/5.6. The 1.4x adds considerable CA to full frame DSLR corners – which will also be noticed in APS-C format corners. Adding a Sigma 2.0x TC to the 70-200 OS creates a 140-400mm f/5.6 OS lens. All Canon EOS DSLRs can autofocus with this max aperture. This is an advantage the 70-200 f/2.8 lenses hold over the 70-200 f/4 lenses as many DSLRs cannot AF with the resulting f/8 max aperture of these 2x combos. The downside to using a 2.0x with this lens is the considerable reduction in image sharpness. And the significant amount of CA becoming apparent. On the positive side, the 200mm pincushion distortion is reduced as the 2x TC adds compensates with added barrel distortion. Plan on stopping down to at least f/8 for this combination to be usable. And f/11 if you want sharp corners. The Sigma 70-200mm f/2.8 EX DG OS HSM Lens is, from a build quality perspective, a very nice lens. Sigma's latest finish is very attractive and has a quality feel to it. It should resist peeling far better than the old finish. I like the ribbed rubber grip surface on the zoom and focus rings, but not as much as I like how impressively smooth both of these rings are. It is nice when your various lenses operate similarly to each. The Sigma's zoom and focus rings rotate in the Canon direction while the Tamron's rings, rotating in reverse direction, will have more appeal to Nikon lens owners. 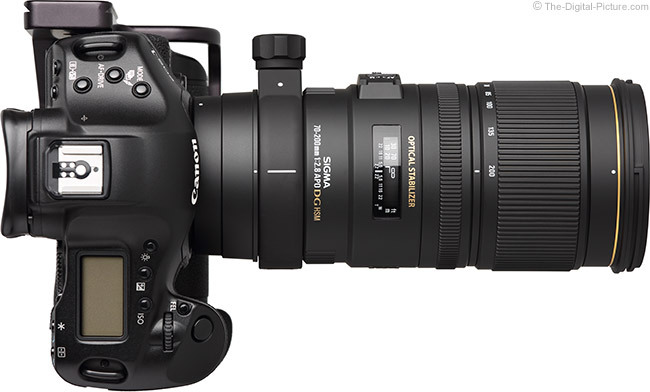 There is no play in the Sigma 70-200 f/2.8 OS zoom or focus rings. The Tamron also has little or no play in its rings, but I prefer the resistance smoothness of the Sigma (and Canon) more. My well-used Canon 70-200 f/2.8 IS II has a very slight amount of play in its rings. The Sigma has a noticeably-raised switch box. While not a big deal, the Canon switches are raised less, but are smooth with the barrel just beyond them. The Tamron switches are noticeably more flush with the barrel. The Canon has 2 additional switches for focus distance limit settings and separated IS On/Off and Mode settings. I don't care for Sigma's 3-position (Off, I and II) switch design. The position marks are too close together and the switch can be positioned in an in-between setting. I shot for over an hour with IS off because I visually misaligned this switch setting prior to shooting. I caught this same issue early on another occasion. Learning from mistakes is of course a key in life, but I'd like this lens to do a better job of protecting me from my mistakes. More of a big deal to me, as I mentioned earlier, is the Sigma's rear-positioned focus ring. In use, my left hand's fingers rest on this ring. Since this lens features FTM focusing, there is risk in me inadvertently changing the focus distance setting after autofocusing. The Sigma's focus ring resistance is firm enough to reduce this risk, but I still much prefer the Canon design - and much appreciate the grip balance when using a rear-positioned zoom ring. With a barrel the size of what comes with a 70-200mm f/2.8 lens design, creating adequately-sized focus and zoom rings has not been a problem for manufacturers. If a large manual focus ring is on your wish list, the Canon, with about 2x as much focus ring surface area as the Tamron and Sigma, is going to best meet this need. Rubber covers less than half of the Sigma's focus ring, making it easier to discern from the zoom ring by touch alone. The Sigma 70-200mm f/2.8 EX DG OS HSM Lens has modestly more focus ring rotation than the Canon and Tamron (72° vs. 62° and 60°). And less zoom ring rotation (120° vs. 137° and 143°). It is not likely that these differences will be significant to you. 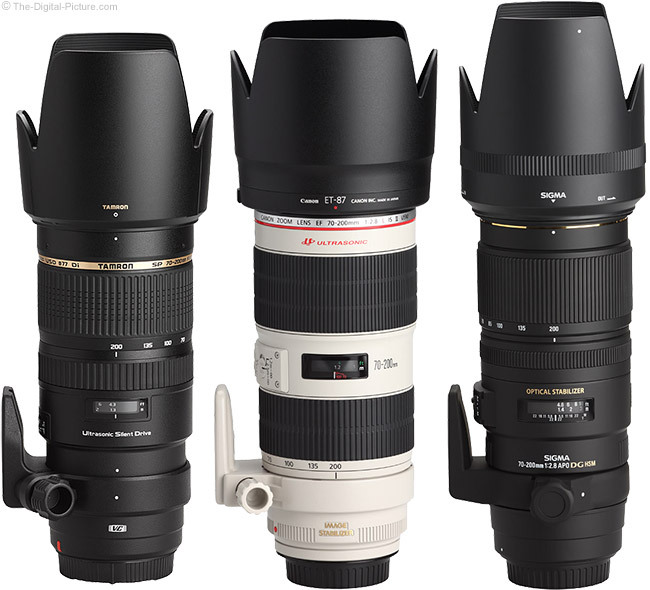 A great design feature shared by all of these 70-200 f/2.8 lenses is the fixed size. There is no barrel extension when zooming to a longer focal length. While Sigma, Canon and Tamron are using quality plastics in their construction, 70-200mm f/2.8 lens design requirements dictate that the weight – and size – be noticeable. The weight and size differences between the three lenses I've been comparing are not of significance. For many more comparisons, review the complete Sigma 70-200mm f/2.8 EX DG OS HSM Lens Specifications using the site's Lens Spec tool. The size and weight of this lens are of significance, but not overly so. Most photographers will find this lens to be very usable. These lenses do take up more space in a case - and you might need a larger case to carry this lens than your standard zoom lens requires. I frequently carry my mounted 70-200 f/2.8 lenses in a Lowepro Toploader Pro 75 AW. 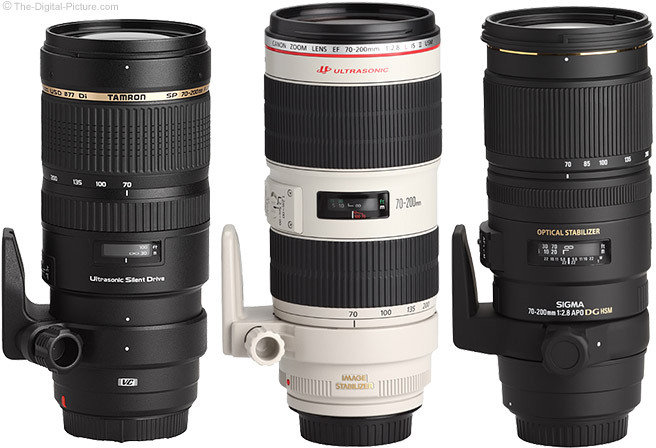 Here are the three stabilized 70-200 f/2.8 lenses side-by-side. The same lenses are shown below in their fully extended states (which is the same size as when retracted for these lenses) with their lens hoods in place. All three of the above lenses come with a lens hood. Generally, the longer the lens focal length, the longer the lens hood. 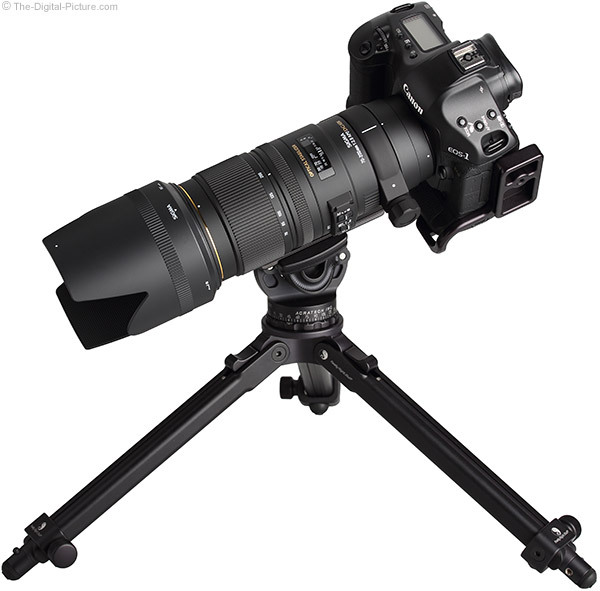 We are looking at telephoto lenses and the lens hoods for telephoto lenses are generally large. Large lens hoods take up more room, but they also provide serious protection to the front lens element. These hoods can prevent impact, can keep rain and water spray off of the lens, can reduce dust on the lens, and of course, provide protection from the sun and other bright light sources. The Sigma lens hood is the longest in this comparison even without the included APS-C lens hood extender (the lens hood extension is shown above – it extends the hood to make it better-protect the narrower angle of view seen by APS-C DSLRs). With the less-rounded corners, this lens hood has a pointy look to it. Tamron and Sigma use a plastic interior with ridges design to prevent reflections while Canon utilizes a flocking material. The Canon design is more effective, but ... few will find the differences to be significant. All three lens hoods have ends flat enough to allow the lens to sit upright when balanced on them, but ... use this technique with caution. Even though this lens hood is deep, the center-pinch lens cap is easily installed or removed with the lens hood in place. Like the rest of the 70-200 f/2.8 lenses discussed in this review, the Sigma 70-200 OS comes with a removable tripod ring included. Using hinged designs, the Sigma and Tamron tripod rings do not require the lens to be unmounted as the Canon ring requires. With no hinge, the Canon design is potentially stronger. The Canon design is also less at risk of accidental removal. The Sigma quick release friction screw requires less than 90 degrees of rotation to go from really tight to completely loose. At completely loose, only a modest tug outward on the release screw is required to release the lens from the ring. This ease of release makes me a bit nervous. I recommend keeping a sure grip on the camera or lens while this tripod ring is not completely tight. The Sigma tripod ring is not as smooth-functioning as the Canon and Tamron rings, but it is completely functional. The Canon ring allows more clearance for fingers wrapped around the lens, but the Tamron and Sigma rings are lower profile. All of these lenses utilize the very-common-sized 77mm filters. The medium-large 77mm filters are shareable on a wide range of other lens models. 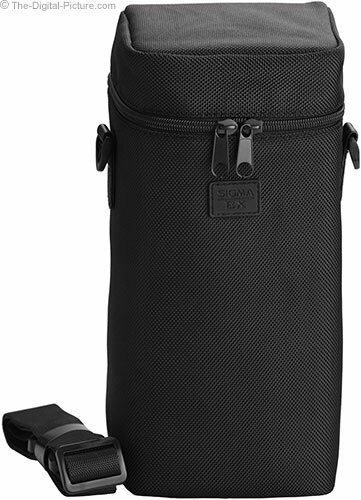 A nice padded, zippered, nylon lens case ships in the Sigma 70-200mm f/2.8 EX DG OS HSM Lens box. While a shoulder strap is included with this case, a pro-sized photography belt loop would be an easy addition to make this case even more useful. The Sigma 70-200mm f/2.8 EX DG OS HSM Lens is not a weather-sealed lens. The Tamron and Canon 70-200mm variants compared in this review are sealed. My review copy of the Sigma 70-200 OS was purchased retail. The Sigma 70-200mm f/2.8 EX DG OS HSM Lens is available in Canon (reviewed), Nikon, Pentax, Sony/Minolta and Sigma mounts. My standard disclaimer: There are potential issues with third party lenses. Since Sigma reverse engineers (vs. licenses) manufacturer AF algorithms, there is always the possibility that a DSLR body might not support a (likely older) third party lens. Sometimes a lens can be made compatible by the manufacturer, sometimes not. There is also the risk of a problem that results in the lens and body manufacturers directing blame at each other. Sigma USA's 4-year warranty is far superior to Canon's standard 1 year warranty (Sigma's international warranty is also 1 year). At review time, the Sigma 70-200mm f/2.8 EX DG OS HSM Lens is modestly less expensive than the Tamron 70-200mm f/2.8 Di VC USD Lens. There are numerous Sigma physical features that I prefer to the Tamron including the focus and zoom rings smoothness and rotation direction. But, the price difference is not great and the Tamron's f/2.8 image quality makes it well worth some additional cost. The Canon EF 70-200mm f/2.8 L IS II USM Lens rules. If you can swing the higher price tag, the Canon is well worth the investment. If you need the least expensive stabilized 70-200mm f/2.8 lens, as of this review date, the Sigma 70-200 OS is your lens.